Our modern day heroes are the people saving lives, teaching minds and touching hearts; teachers, doctors, firemen and a lot more. We admire these people as our role models, the people we would want to be too. It is kindness they emulate in almost all aspects of their life. 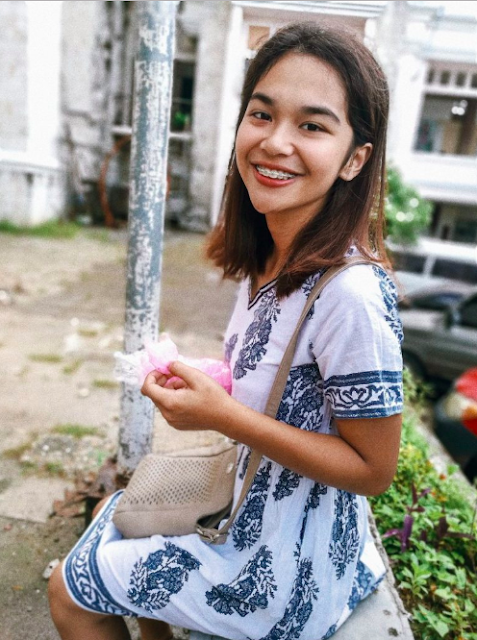 Arabella Garciano of Tagbilaran City, Bohol currently lives her second life due to an unfortunate incident and a kind hearted doctor. 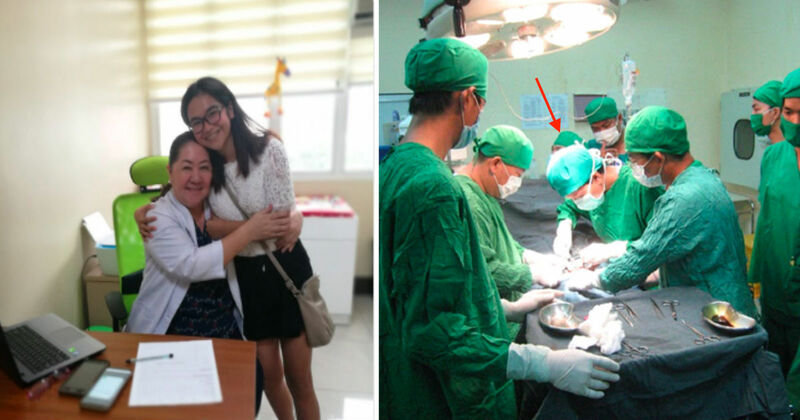 It has been 17 years that this young lady is living when Dr. Maribel Du, a pediatric surgeon, saved her life as a baby. As a baby, she had a cyst on her chest which only an operation could save her. However, this operation wasn't something her family could immediately decide on for it had a price to be paid. But because of the kind doctor, a lot of lives changed. 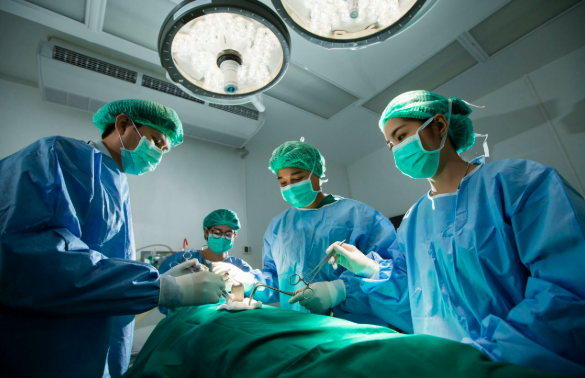 In her post she stated that her family didn't have the adequate operation money but a kind doctor performed the operation anyways without asking for any fees. This kindness made Arabella decide to pass it forward; the kindness she has received as a baby is now the driving force for her to keep on living. Last October of 2018, she met her life saver from 17 years ago. 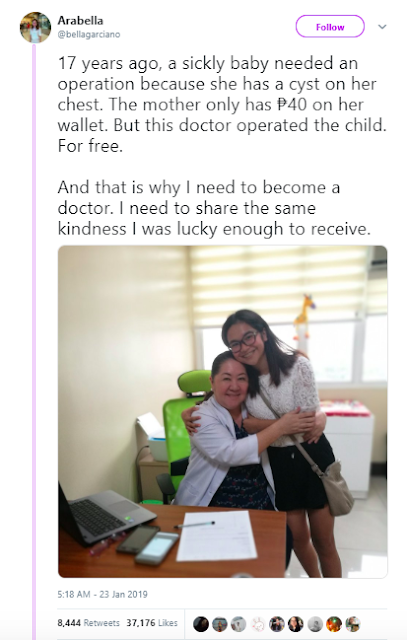 She shared a photo of hugging Dr. Du on Twitter which garnered numerous praises from netizens. Kindness could be passed on from anyone to anyone. That simple holding out for the door, saying thank you or even a single biscuit shared with others can be life changing. Be kind everywhere and anytime.